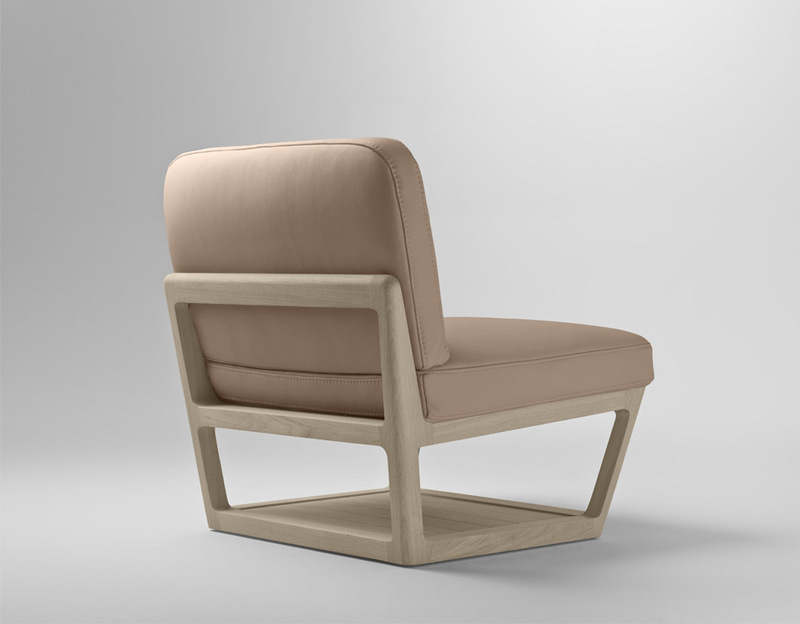 The Lèia armchair collection highlights BOSC’s expertise in woodwork. Lèia, which means toboggan in the Occitan language, has a solid oak structure on which are placed two comfortable feather-filled cushions covered with full-grain leather from the renowned Carriat Tannery. The handy space under the seat can be used to store blankets, magazines and newspapers. Lèia is available in one or two-seater versions.